Lemon Honey Tea (레몬차) – Yori, Hey! This is an easy recipe to make using just lemons and white sugar. Once it is made, you use add it to hot water to make a warming drink. It’s also a great way to preserve lemons. First off, you’ll want to clean the lemons well and chop off the ends. 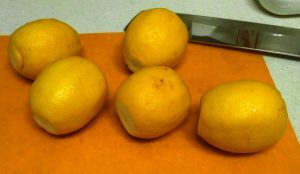 Next, slice the lemons into thin wedges. In a jar, add a couple spoons of sugar. Then, add a few slices of lemon. 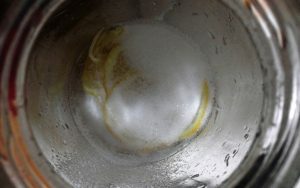 Repeat this method, sugar-lemon-sugar… Once the jar is filled, press down the lemons to squeeze them a bit. You want the juice to mix with the sugar. Top with some more sugar, close the jar and set aside for a day or two. 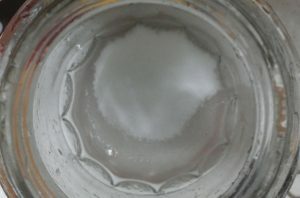 If there is a lot of sugar on the bottom after a few days, just mix it a bit. 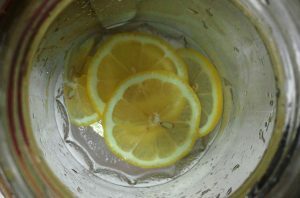 You can add some more lemon slices to de-saturate it. 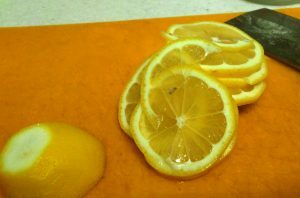 To serve, add a slice or two of lemon with a tablespoon of juice to a cup and add hot water. 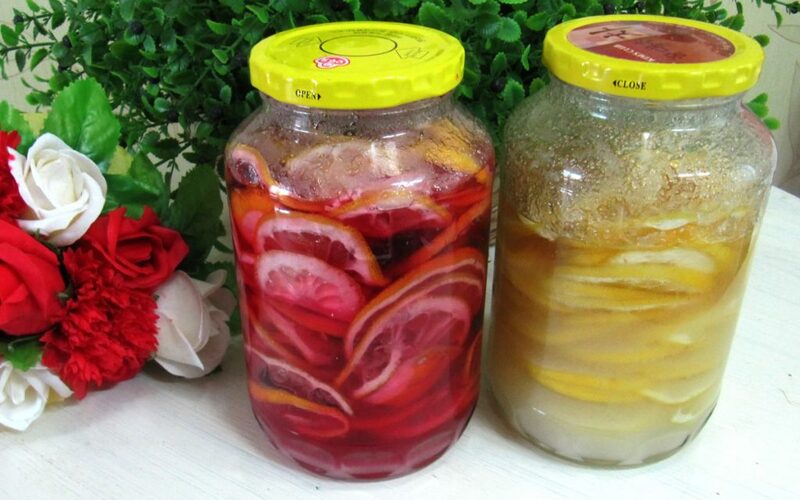 You can also add berries or try other citrus fruits using the same method. In the picture above, I’ve added blueberries.